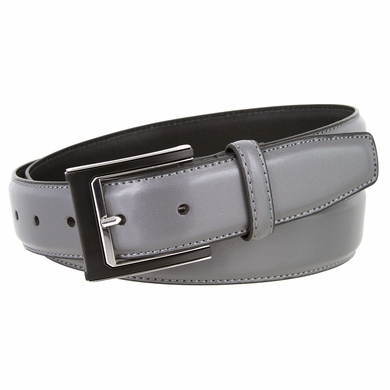 1 3/8" = 35mm Wide genuine leather belt. Black with shiny silver plated buckle. One leather loop. The belt comes in multiple colors.